A loose tile on your bathroom floor or wall isn't just annoying. 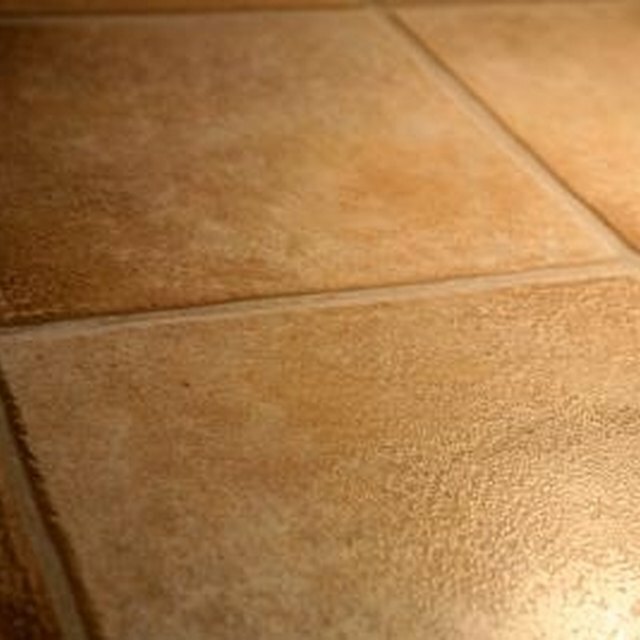 Moisture can get underneath a tile that's loose, and under the adjoining tiles, causing more loose tiles, as well as the potential for mildew. Tiles come loose for several reasons, the most common of which is that they simply didn't have enough adhesive under them when they were installed. If the tile's not cracked you can re-use it, but don't try to fix it without extracting it completely first and cleaning up the old glue and grout. Use your grout saw to scrape away all the grout around the loose tile. Take care not to scratch the adjacent tiles. If the tile doesn't pop out from removing the grout, use your chisel to get it out. Don't force it out all at once, but gradually work around the base of it, underneath the edges of the tile. Brush away all the debris. Use your razor scraper to clean up the back of the tile and the space on the wall, removing all remaining dried glue and grout. Use your putty knife to spread tile adhesive on the back of the tile, covering it completely. Press it into place, twisting it slightly to get a good seal. Let it set overnight. Use your putty knife to press grout into the space around the tile. Smooth it out with a damp sponge, taking up the excess from the tile surface. Let the grout cure for several days; then apply grout sealer over the lines with a small brush. Wear eye protection when digging out the old grout. Is There an Easy Way to Take Tile Off a Concrete Floor?